We’ve all been there. You cook up a big batch of delicious lobster from Cape Porpoise Lobster Co. but you just can’t finish it all, despite your best efforts. With a sigh, you put it in a Tupperware and hope it tastes just as good the next day. We’re here to tell you that with the right know-how, your lobster will make a fantastic lunch (or midnight snack). To reheat a whole lobster, wrap it in heavy-duty aluminum foil and place it belly-up on a baking tray. Add a pat or two of butter to the foil wrap to keep the lobster moist and reheat for 5 to 10 minutes at 350 degrees. If you just want to reheat the meat, place the boiled meat in a frying pan with a teaspoon of butter. Sauté over medium heat and check for doneness after 5 minutes. You can also reheat lobster in the microwave. If the lobster has its shell, wrap it in damp (but not soaking wet) paper towels. Skip this step if you’re just reheating the meat. Microwave for a minute or two. 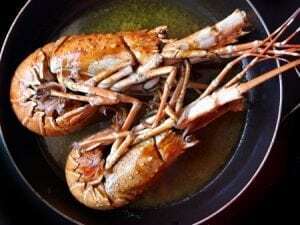 Regardless of which method you choose, make sure to use a meat thermometer to ensure that your reheated lobster registers at least 165 degrees Fahrenheit at its thickest part. This keeps you safe from the harmful bacteria that cause foodborne illness. Also, never reheat lobster that’s been in the fridge for more than four days. 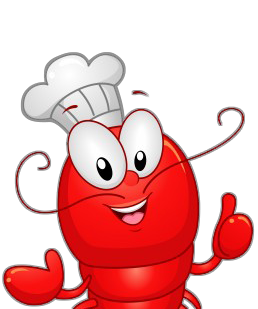 Now that you’re an expert at reheating lobster, it’s time to order some. Browse our wide variety of options on our website and get fresh live Maine lobster delivered to your front door in under 24 hours!